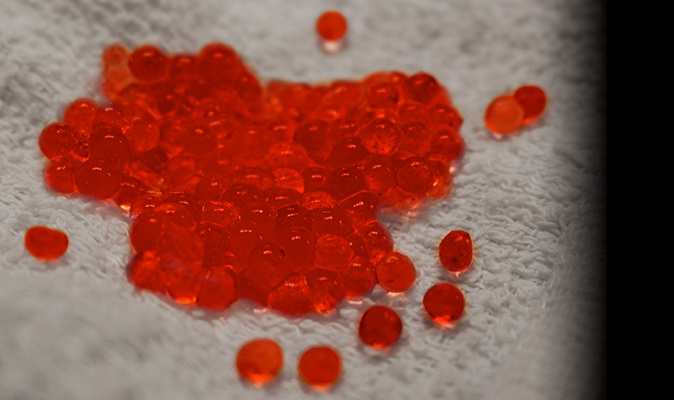 The Kepley BioSystems Migrating Shorebird Initiative - Kepley BioSystems Inc.
Kepley BioSystems introduces Charadrii CAVIAR™, an easily digestible food for shorebirds in a familiar form that resembles a prime foraging preference. High in essential fats, proteins, and carbohydrates, Charadrii CAVIAR is formulated for migrating shorebirds to optimize nutrition and provide the calories required to complete their demanding journeys. Ultimately, the Kepley Biosystems Shorebird Initiative will work to help alleviate one of the key the factors impacting shorebird populations – diminishing access to adequate nourishment due to climate change, industrial harvesting of keystone species, habitat destruction and pollution. There are 215 recognized species of Charadriiformes, or shorebirds, belonging to 14 different families. Also known as "Charadrii" or “waders,” these tenacious birds commonly possess long legs and pointed bills with specialized motion sensors that enable them to wade in shallow water in search of food. Shorebirds have adapted to survive in a variety of environments, including coastal, saline, and freshwater wetlands, flooded agricultural fields, interior grasslands, and arctic tun­dra. In contrast to seabirds, which have webbed feet suitable for swimming, shorebirds are unable to paddle in water, yet they depend on the sea and other wetlands for sources of food. The majority of migratory shorebirds that traverse the Mid-Atlantic States breed in northern climates where favorable summers, reduced threat of predation, and abundant food are conducive to healthy offspring. When northern winters make the environment uninhabitable, these shorebirds typically begin a lengthy seasonal migration; along the way, they depend on critical stopover sites, as well as physiological adaptations to ensure their survival. 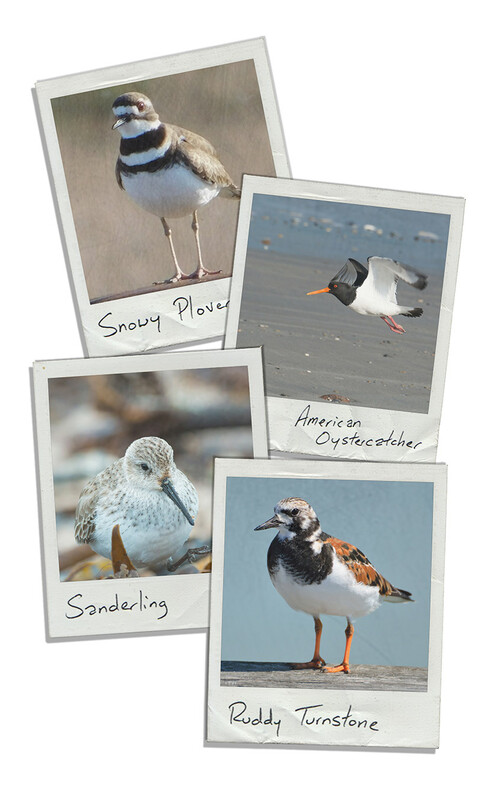 Being one of the most mobile groups of animals, shorebirds have acted as a sign of a healthy, functioning ecosystems for a number of habitats including wetlands, grasslands, beaches, and tundra. In addition to migrating through a variety of environments, shorebirds are extremely sensitive to change in their habitats and have predictable, well-understood migration patterns. Due to this, and the fact that shorebirds are easily observable with readily apparent absences in known habitats (making the interpretation and collection of population data relatively simple), they serve as excellent indicators of environmental stress. Because shorebirds are highly dependent on well-functioning ecosystems, decreases in shorebirds populations can serve as an early warning of habitat degradation. In the 1950s, damage caused by canal construction in the Everglades was only discovered when a lack of prey availability led to drastic decreases in wading bird populations. Because the birds responded before other animals, officials became aware of the threat before greater environmental harm could occur. Wetlands, for example, remove carbon and help to minimize the effects of global warming. Further, both wetlands and grasslands provide water filtration, flood protection, and shoreline stabilization to surrounding communities. The conservation of shorebirds and their habitats is vitally important, as these habitats have been intimately connected to the quality of human life. Shorebirds endure some of the longest migrations in the animal kingdom. Most sandpiper species and sanderlings travel more than 18,000 miles to their nesting grounds and back every year. Arctic terns migrate the farthest, traveling an astounding 44,000 miles. More than 50 shorebird species migrate through North America annually, traveling from Arctic breeding grounds to wintering locations in Central and South America at speeds reaching 60 miles per hour. In preparation for their long flights, many shorebirds double their body weight in as little as a few weeks. Most of these species also possess remarkable circulatory, respiratory, and metabolic systems uniquely adapted to optimize nutrient utilization and oxygen delivery that enables them to exercise strenuously for extended periods throughout migration. 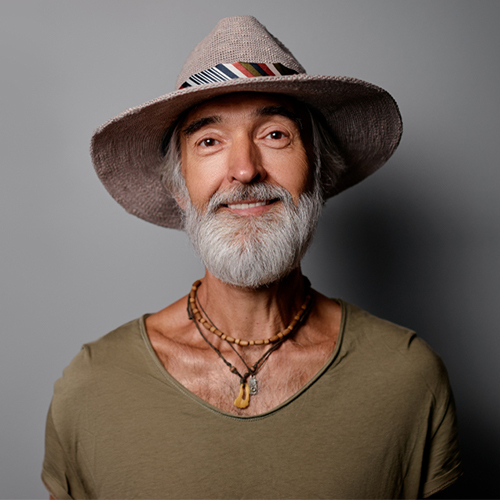 To avoid expending unnecessary energy to carry nonessential weight, many have also been shown to atrophy some of their internal organs and rebuild them upon arrival at their destination. For example, migrating godwits have gizzards reduced by 48% mass, livers reduced by 36%, and kidneys reduced by 29% compared to those of pre-migratory godwits. Throughout migration, most shorebirds rest at a series of stopover sites to refuel. As they often fly continuously for many consecutive days and arrive exhausted, the food consumed at these sites is essential to their survival throughout the remainder of their journeys. During migration, timing is crucial, as migratory shorebirds must rely on instinct to ensure they arrive at stopover sites during peak availability of insects and other species on which they depend. If a shorebird arrives late and cannot gain sufficient weight before departure, it may perish before reaching its next stopover or final destination. Conversely, if a shorebird arrives too early at a stopover or wintering location and the water or ground is still frozen, it may likewise be unable to obtain the sustenance it requires to complete its migration. Map derived from Helmers, D.L., 1992. Due to compounding factors such as loss of habitat and food resources, shorebird populations have declined significantly in recent years. Shorebirds that migrate the farthest are the most vulnerable. “The State of North America’s Birds 2016” report released by environmental agencies in the United States, Canada, and Mexico, documents numerous waning shorebird populations over the past 40 years. As outlined in the report, long-distance migratory continental populations and species that travel from the Great Plains to Mexican grasslands have decreased by nearly 70%. Unable to obtain sufficient nourishment to fuel winter migrations, shorebirds have been forced to fly thousands of miles underweight and malnourished. Consequently, many birds have expired before reaching their intended destinations. A recent conservation vulnerability assessment of all birds native to Canada, the continental U.S. and Mexico found that nearly 40% of avian species that forage along coastal habitats are on watch lists and require urgent intervention. It is estimated that more than half of wetland habitats appropriate for shorebird foraging has been destroyed or degraded since the 1700s, and, according to the National Resource Conservation Service, approximately 35 square miles of additional wetlands are lost each year. 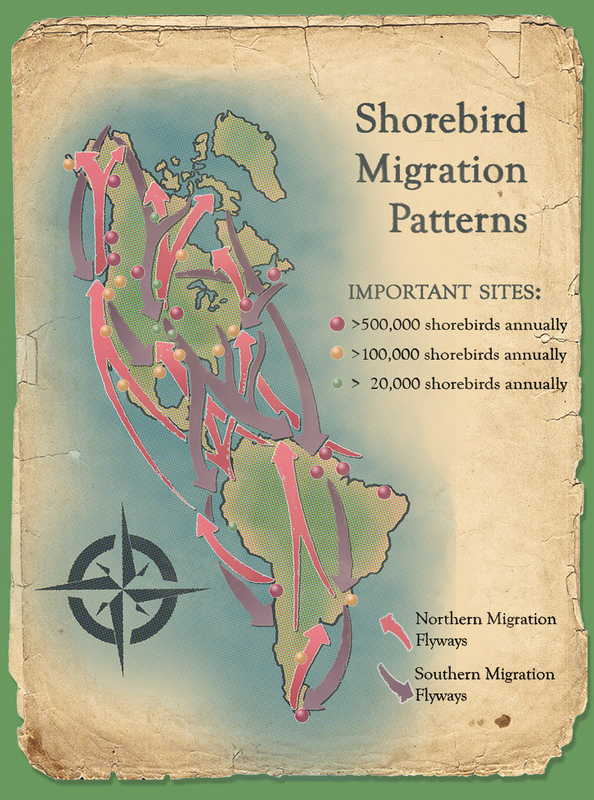 Key migration stopover sites en route to shorebird overwintering destinations and inland habitats have been overtaken by human development and are continually threatened by industrial pollution and agricultural runoff, causing food sources to become both unsafe and unavailable. Climate change and shore degradation have only exacerbated habitat loss. Wintering habitats in the Arctic are warming much earlier than in the past, making it difficult for shorebirds to correlate their arrival with peak insect and other species abundance to ensure their offspring obtain sufficient nourishment. Further, rising sea levels make it challenging for shorebirds to feed along the coast, which they have historically relied upon during migration. As stated by the National Audubon Society, shorebirds faithfully follow old migration paths and depend on the same critical stopover sites year after year, rendering them especially vulnerable to habitat loss. As they also tend to have low reproductive potential from high egg and chick mortality rates, it is unlikely that populations will rebound without resolute human intervention. Declining populations of American horseshoe crabs (Limulus Polyphemus) have significantly impacted migrating shorebird access to a vital foodstuff that has heretofore fueled the successful migration of numerous species. Delaware Bay, the world’s largest site of horseshoe crab spawning, is also the location of the final stopover for many shorebirds on their way to northern breeding grounds. Each May, thousands of them, including the increasingly threatened red knot (Calidris canutus), arrive at Delaware Bay and spend two to three weeks ravenously feeding on horseshoe crab eggs in order to complete the last leg of their journey. The lipid-rich horseshoe crab eggs contain six times as many calories as low-fat, high-protein bivalves, making them an optimal source of nutrition. According to the Association of Zoos & Aquariums (AZA) Charadriiformes Taxon Advisory Group, a red knot must consume 18,000 horseshoe crab eggs per day during a Delaware Bay stopover in order to gain sufficient weight required for flights to northern nesting grounds. 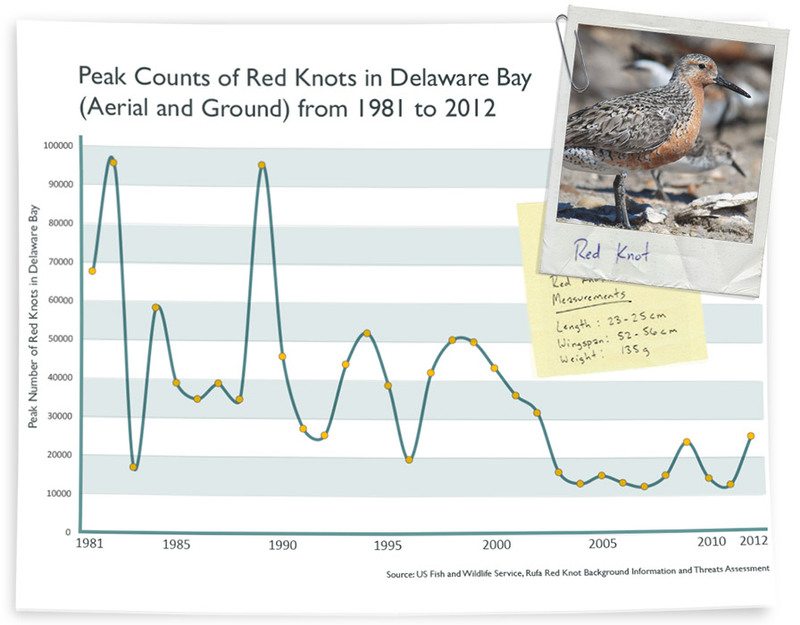 Lawrence Niles, Ph.D., chief of the Endangered and Non-game Species Program of the New Jersey Division of Fish and Wildlife, has observed that red knots arrive in Delaware Bay weighing less than at any other stopover. Red knots must double their body weight in Delaware Bay, and they are entirely dependent on the availability of horseshoe crab eggs. 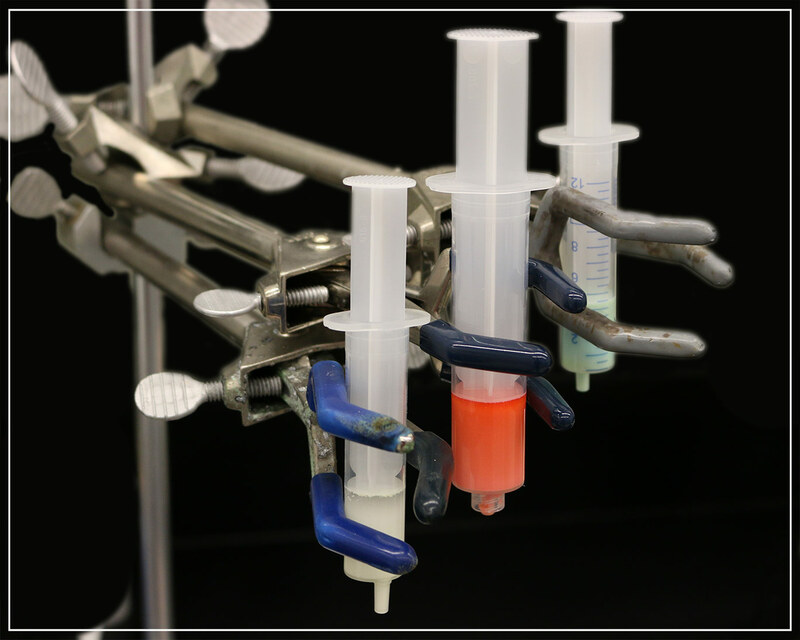 Charadrii CAVIAR, now under development at Kepley BioSystems, has been designed to address the nutritional challenges these migrating shorebirds face during their extreme travels. 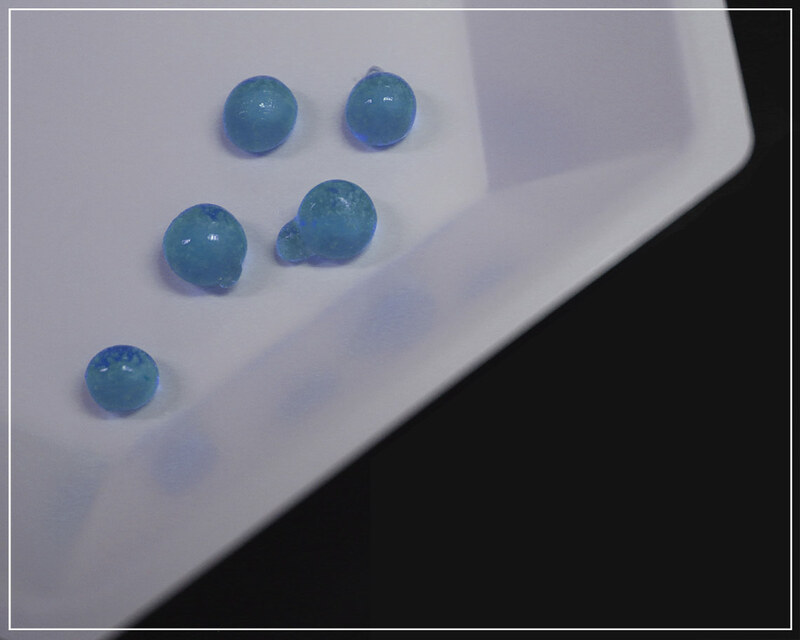 A structurally robust, insoluble alginate casing encapsulates natural, nutrient-dense ingredients and can be deployed safely along coastlines. Enriched with nutritious fats, proteins, carbohydrates, vitamins and minerals to provide shorebirds with the energy required for long migrations. Formulated to be easily digestible and highly bio-assimilated to reduce metabolic energy requirements while optimizing nutrient uptake. With more than 40% of avian species requiring urgent conservation efforts, synthetic eggs can supplement the high energy requirements of migrating shorebirds and help counter the impact of diminishing food sources – while incorporating natural, bio-available ingredients. Shorebirds need to double their body weight to ensure successful migration. As it embarks, more than half of the total mass of a migrating shorebird is stored fat. Most shorebirds can sleep while flying by shutting down one side of their brain at a time! 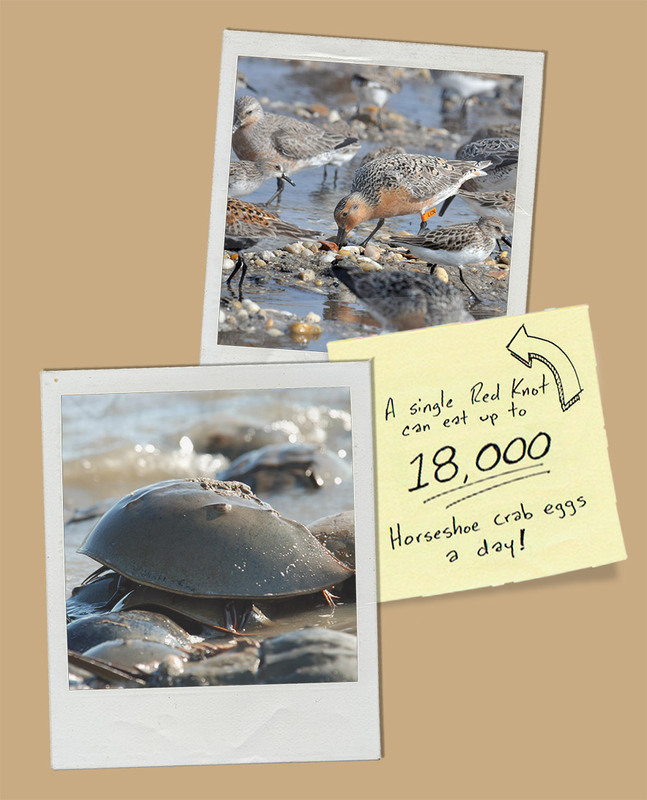 The average red knot (which weighs 135 grams) consumes 285,000 horseshoe crab eggs and gains 54 grams during its Delaware Bay stopover – the equivalent of a person weighing 150 pounds and gaining 60 pounds in two weeks. Sandpipers time their migration to breeding grounds so hatching their chicks aligns with the life cycle of their preferred insects, ensuring their offspring will have an abundant food source. Although the black-bellied plover migrates thousands of miles to its breeding ground, it always constructs its nest within 300 feet of its nest from the previous year. The longest nonstop migration ever recorded was 7,145 miles and was completed by a female bar-tailed godwit who flew for 9 straight days! The longest annual shorebird migration ever recorded was 59,650 miles. That’s more than twice earth’s circumference! Throughout its 30 year lifespan, the Arctic tern migrates about 1.5 million miles – farther than three trips to the moon and back. Join In! Become a Bird-Watcher! Need a hand getting started as a birder? Jonny at HobbyHelp.com can help with his in-depth comprehensive guide to bird-watching. His step-by-step explanations gives any beginner assistance they may need in tool selection, general advice, and how to locate groups that would love to have more people along for the adventure. As Jonny explains, bird-watching brings you closer to nature and provides a hobby that can offer a lifetime of enjoyment. 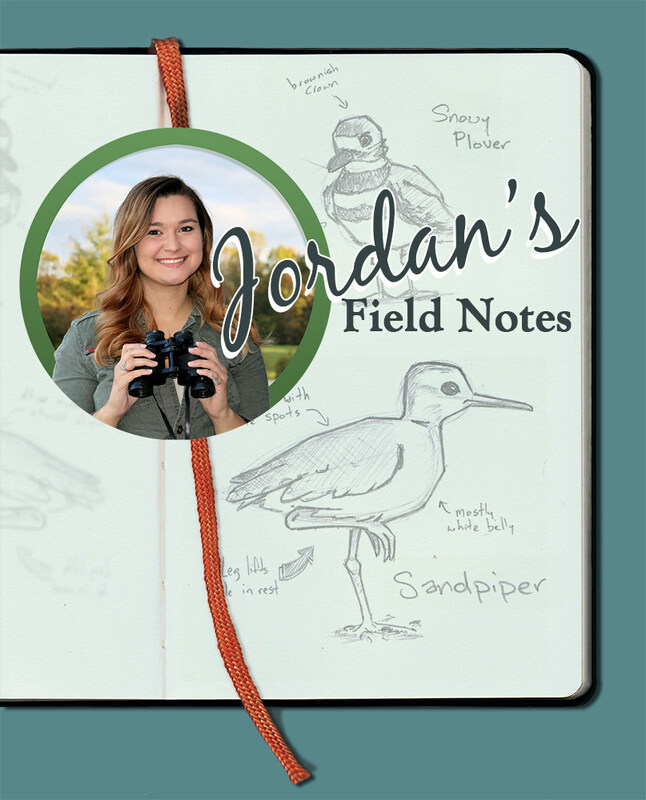 As the future of shorebirds becomes increasingly threatened, biologists depend on these enthusiastic citizen-scientists to shed invaluable information on the migration patterns and appearances of these birds which provide crucial data for conservation efforts. Read Jonny's "Ultimate Beginner's Guild to Bird-watching" at HobbyHelp.com for more information. Hey, I'm Jonny! I've been watching birds for well over twenty years, and as you can imagine, I've seen some pretty incredible sights! From New Zealand's rare Kakapo to Canada's stunning Snowy Owl. 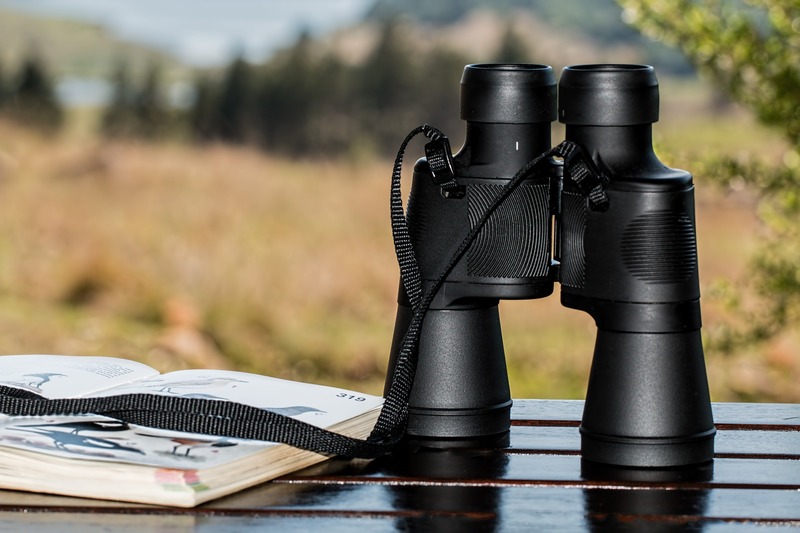 I can't recommend birding highly enough for nature lover's, so if you're interested in getting started, check out my detailed guide to bird watching.